I am the final intern to be introduced for the summer blog series. 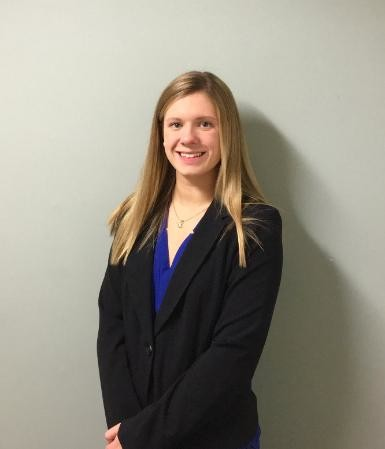 My name is Katherine Lipski and I began thinking about completing an internship at the Greater Wilkes-Barre Chamber of Commerce back in October of 2017. The spring of 2018 would mark my final semester of college, and I knew I wanted to have real experience in my future field instead of taking classes to only fill up my requirement for credits. However, I talked with Meghan Flanagan, the Communication and Resource Manager, and we both decided it would be better for me to complete my internship in the summer. I graduated from Mansfield University this past May with a degree in communication. During my college career, my focus was in public relations and social media. I love seeing how social media can promote individuals and organizations in a fashion that was not always possible. Virtually, anyone can create a blog, Facebook page, or website where they are able to highlight themselves or a larger entity. 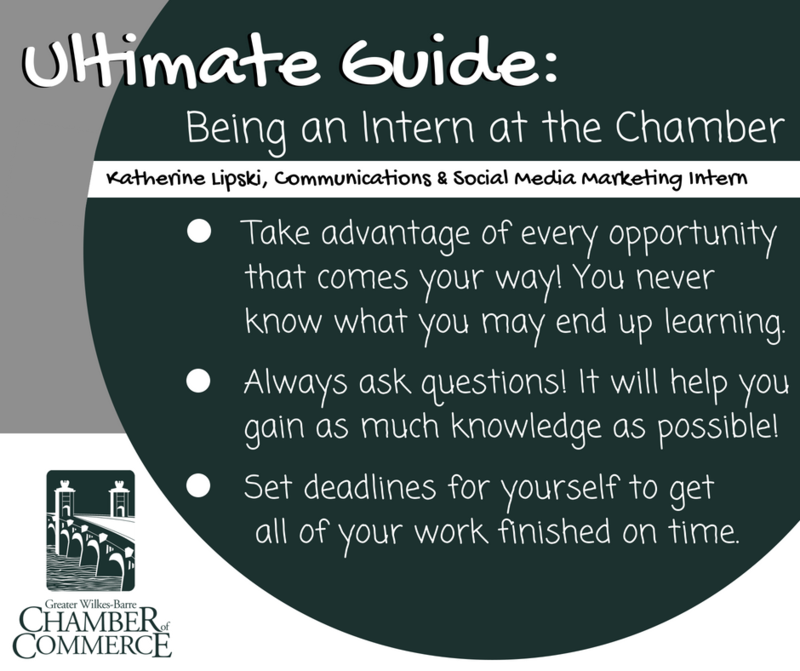 I am a Communications and Social Media Marketing Intern at the chamber. Some of the tasks I have completed include writing and editing press releases, developing and editing blog posts, and attending events held by the chamber. Throughout my education, I have always loved writing and I am extremely happy that it is a main aspect of my internship. Whether I am writing a communication piece on my own or editing someone else’s, it is something I really enjoy doing. My favorite project I have worked on at the chamber is my blog series because I was fortunate to have the freedom to develop and design my blog posts. I was able to meet and interview the other interns, as well as the chamber’s staff. Although I have previous experience in writing professional blogs, I believe that this has strongly improved my writing and blogging skills. I also have been able to attend various events held by the chamber such as the EPIC Awards and a few ribbon cutting ceremonies. Along with social media, I also love creating and editing graphics. My favorite applications to use are Adobe Photoshop and Canva. I love editing graphics, as well as pictures. After taking a few classes in college, I was amazed to see the detail and time that goes into creating an individual graphic. I am also passionate about field hockey and played during my four years at Mansfield University. I was fortunate to receive all-conference recognitions and serve as my team captain during my senior year. After this summer, I am hoping to begin working in the communications field where I will be able to apply my public relations and social media talents. Specifically, I would love to work at a university as a social media manager. I am thankful for my time at the chamber because I believe it will help me transition from being a student to a member of the workforce.